2005 was a troubling year for New Japan Pro Wrestling. The company was achieving dismal attendance numbers at their live shows after the promotion had been run into the ground by founder and part-owner Antonio Inoki, and then later his son Simon Inoki, due to their insistence on partnering their professional wrestling company with more legit MMA competition in Japan. 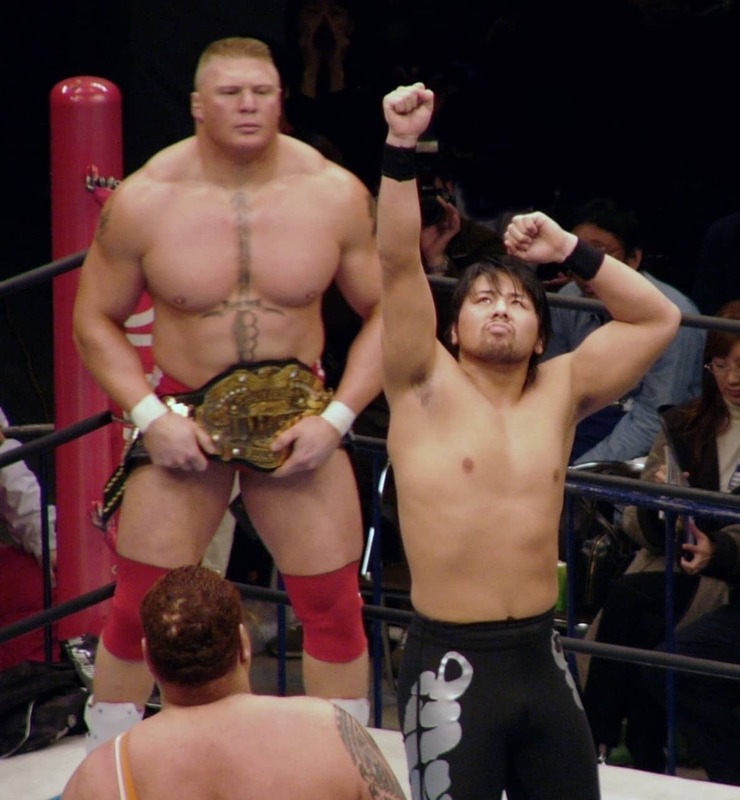 At the forefront of this was the youngest ever IWGP Heavyweight Champion and Inoki’s star-trainee, Shinsuke Nakamura, and the then-former WWE star, Brock Lesnar. 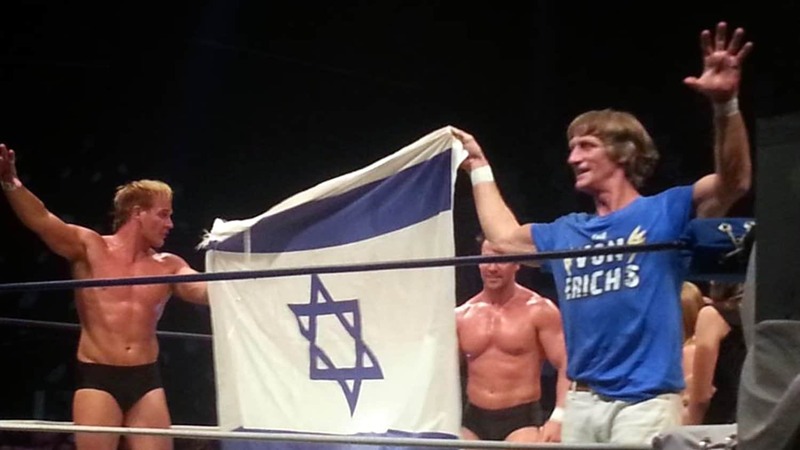 The two entered into a bitter rivalry over who would be Inoki’s next big star, and more importantly, the IWGP Heavyweight Championship. What ensued lead to Lesnar refusing to drop the belt and holding it hostage for over a year at his home in America until an unexpected Olympic hero stepped into the picture. Brock Lesnar (c) vs. Shinsuke Nakamura – IWGP Heavyweight Title Match. New Japan Pro Wrestling, Toukon Shidou. January 4th, 2006. Shinsuke Nakamura made his New Japan Pro Wrestling debut in 2002 after training in the New Japan LA Dojo under founder Antonio Inoki. Inoki was a legendary shooter whose cross-discipline match against Muhammed Ali in 1976, helped put New Japan on the map. In 2002, Inoki was hoping to take New Japan Pro Wrestling in a more legitimate sports style direction, pairing up with Japanese MMA company K-1, putting New Japan professional wrestlers in matches with MMA fighters. When Inoki got wind of Nakamura’s impressive background in martial arts, jiu-jistu and amateur wrestling, he took him under his wing and began pushing him to be the star of the company. Nakamura was dubbed the “Supernova”, shooting to the top of the card and winning the IWGP Heavyweight Championship only one year and four months after his debut (becoming the youngest ever IWGP champion at age 23), much to the frustration of many of the New Japan veterans who disliked the cocky young Nakamura. In these early days of his career, Nakamura didn’t know if he wanted to be a professional wrestler or a shoot fighter, which proved to be the perfect fit for Inoki who booked him as both. In his first year in New Japan, Nakamura would also compete in three high-profile MMA fights, earning a 2-1 win-loss record overall. However, it wouldn’t be long before injuries would begin to stack up, forcing him to vacate the IWGP title. Inoki’s desire to blend the sport of MMA with professional wrestling would turn out to be disastrous for New Japan. It would leave professional wrestlers injured and unable to compete as regularly as needed, and fans of each separate discipline would not be entertained by watching the other. Attendance dropped to dismal numbers and it looked like New Japan was in danger of going under. This would eventually lead to a major falling out between Inoki and Nakamura, resulting in Inoki punching Nakamura in the ring. 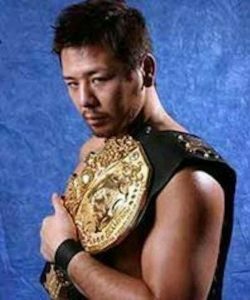 Nakamura remembers in his autobiography “King of Strong-Style”, “I am incredibly grateful for how [Inoki] was always promoting me right from my debut. Somewhere along the way, I was wanting to do it under my own power, so there was a misunderstanding of a sort there. Enter Brock Lesnar. Having left WWE in 2004, Lesnar entered into a drawn out expensive legal battle with Vince McMahon, who was trying to block him from wrestling in any other company. Lesnar, desperate to earn some money in order to pay for his legal fees, saw an opportunity to work with the Inokis in New Japan. 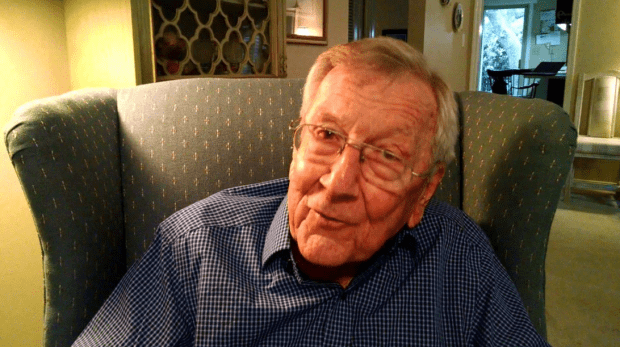 “I couldn’t figure out which way to turn, and then my lawyer, David Olsen, called me with some interesting news. David had been contacted by New Japan Pro Wrestling, the big group based out of Tokyo and run by Antonio and Simon Inoki. They were thinking about all the hype they could build around a shooter who’d become the youngest WWE champion in history, and were looking to cut a deal right away. “I had never thought about wrestling in Japan, or anywhere else for that matter, because WWE had me sign that non-compete agreement which said I could only wrestle for Vince, and I thought I was on the shelf until 2010. Lesnar continued, “I also guessed that Vince McMahon was going to do everything in his power to stop me from making a living. Plus, I figured going to Japan would be a great experience. I’d pick up some excellent coin, eat some fresh sushi, have some good times with Brad, and deliver a great big ‘screw you’ to Vince. With the Inokis seeing a chance at having another shoot fighter they could build their company around, they signed Lesnar and once again booked their next top star to win the IWGP title within a matter of months. After a short run with the title, it came time for a match between Inoki’s two shooter prodigies. 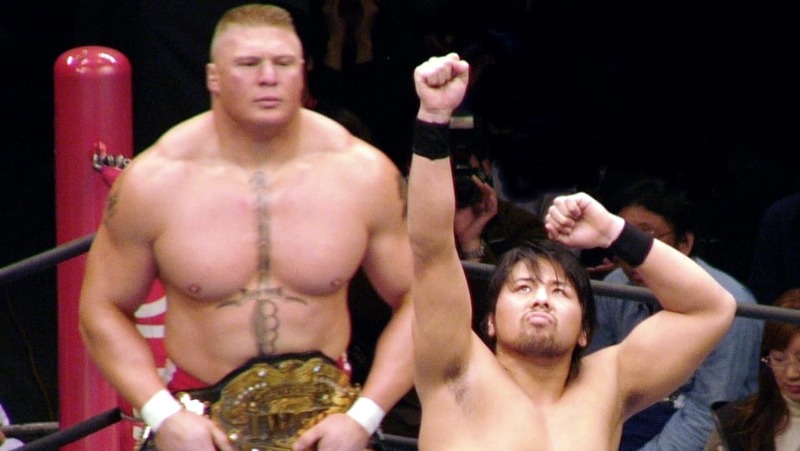 At the January 4th, 2006 Tokyo Dome show, Brock Lesnar fought Shinsuke Nakamura for the IWGP Heavyweight Championship in which Lesnar defeated Nakamura with his newly named finisher. In somewhat of a lackluster match, Lesnar left with the title and Nakamura left feeling dejected. Nakamura remembers, “That match was seriously rough. First, Lesnar was saying all this stuff about how he respected New Japan, but it felt to me like that was just for show, that he didn’t really respect the promotion. Like, somewhere, he was looking down on Japanese people. 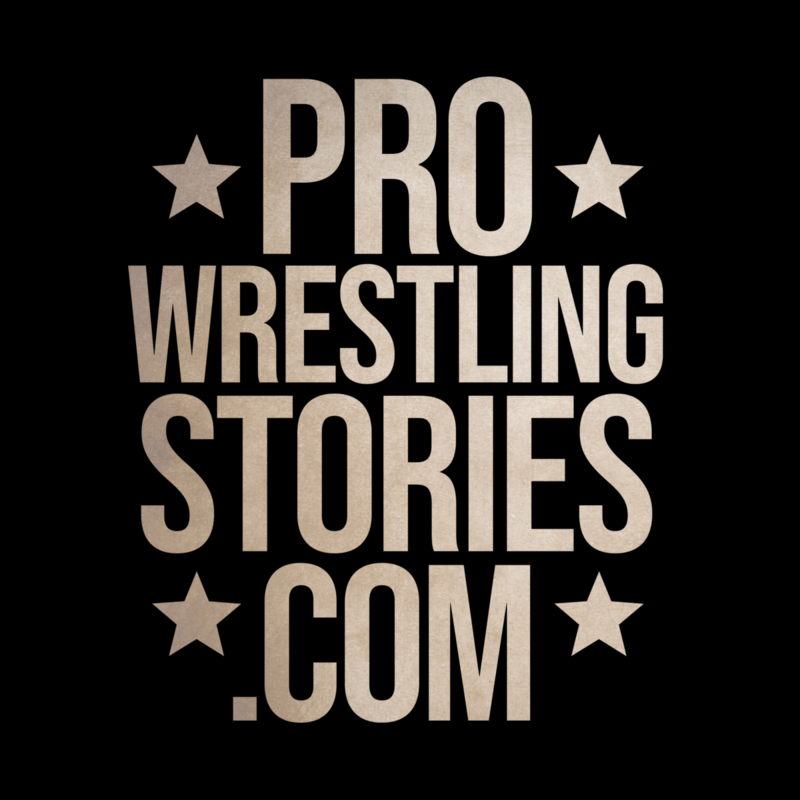 “I lost the match, and that was the first time I cried at pro wrestling after a match. “It was the main event at Tokyo Dome. This was a pretty hallowed stage, and I knew I hadn’t fought the way I imagined I would. And there was, like, this temperature difference between me and Lesnar. 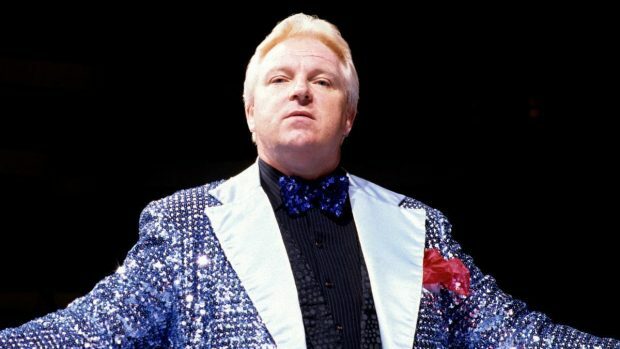 I didn’t get the sense he felt any love for pro wrestling. It turned out to be Lesnar’s last match for NJPW and he left without dropping the title, going one step further by taking the physical belt with him. New Japan would announce that he left due to Visa issues but Lesnar would claim that New Japan hadn’t paid him his agreed price. “The Inokis were having a lot of internal problems with their company, and I knew that New Japan was on a downswing. My time in their organization was quickly coming to an end, but I wanted to go out with a bang,” Lesnar explained. “What did surprise me was that the Inokis didn’t try to get me to drop the title before I left Japan. They probably knew better than to make me feel like I was being backed into a corner because I was already pissed off that they started playing games with my money. “I thought I was being smart when I went to Japan because I insisted on private transportation, first-class hotel accommodations with all expenses paid, you name it. If I have to travel halfway around the world to work, at least I’m going to be comfortable while I’m over there. “Part of my deal with New Japan was also to get paid up front. My lawyers set up an escrow account in the United States, and our deal was that I don’t get on a plane until the Inokis wire my money into that account. Then, when my match is over, the money is released directly to me, so I never have to worry about going over to Japan and getting stiffed on my payoff. The system worked… for a while. “On one of my last trips to Japan, I didn’t get all my money up front, but I got on the plane anyway. I figured the Inokis needed me because I was their champion, and I wasn’t going to step into their ring until I got the word that all of my money had been deposited into the U.S. account. “What could go wrong? Plenty. But I should have known that. “When my match was over, the Inokis threw me onto the bus with all the other boys headed to the airport. What the hell? It was in my contract that I was supposed to have a car and driver from the time I land in Japan until the time I’m dropped off at the airport to go home. That bus ride is just brutal, and I wanted no part of it. The Inokis knew I wasn’t expecting to end up riding the bus, and I kept wondering to myself why they would give the IWGP World Heavyweight Champion such a bush-league send-off. “The Inokis had to know there was a chance I wasn’t coming back, so that meant there was a possibility they were going to ask me to turn over the title belt. I was one up on them, though, because I had the title belt buried all the way at the bottom of my suitcase… and you can just imagine what my grip on that suitcase must have been like. I was holding on for dear life, because they still hadn’t paid me, and I wanted to keep their title belt as an insurance policy. As long as I had possession of the IWGP Heavyweight Championship belt, I knew they would find a way to come up with the money they owed me. “As polite as Simon was to me, I was even more polite to him. I thanked him for the offer to take care of the belt for me but told him that I was planning on polishing it myself back home and that I was going to make the rhinestones look nice for the New Japan fans. 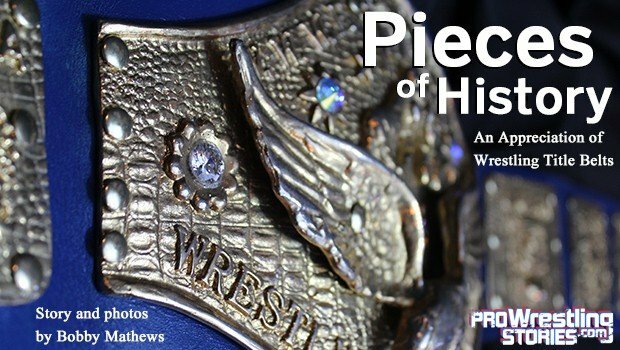 “There was nothing they could do at that point unless they wanted to create a major incident in an international airport, so Brad and I checked in and got on the plane with the title belt still in my possession. I had heard New Japan was talking to TNA about a joint promotion, and it was easy to figure out that they were going to want me to come back and drop the title. That gave me a lot of negotiating leverage. “I had something they wanted, and they had the money to pay me, so I used that to my advantage. Brock Lesnar flew away with the IWGP title in tow. A belt drenched in New Japan history was taken hostage by an outsider and the New Japan wrestlers were furious. Over a year-and-a-half later, plans were set in motion to get the IWGP title back where it belonged. Nakamura had left Japan to go on an excursion to the states and whilst he was away, New Japan held a tournament to establish the new IWGP Heavyweight Champion. Lesnar was stripped of the title and a new belt was commissioned to mark the occasion since Lesnar was still refusing to give back the former one. At the end of this tournament, Hiroshi Tanahashi was crowned champion. The Inokis had now completely left New Japan, with Antonio finally getting his wish of blending the boundaries of MMA and pro-wrestling when he created the IGF (Inoki Genome Foundation), a rival wrestling promotion which would focus on both disciplines. To give the promotion an exciting main-event as their opener, they decided it was time to bring back Lesnar and to have him wrestle for the now illegitimate old IWGP belt. It was decided this big marquee event would also bring in TNA World Champion, Kurt Angle, who Lesnar would drop the belt to. In what Lesnar assumed to be his last ever pro wrestling match, he finally put in a good performance against his old friend and rival Kurt Angle and graciously dropped the belt to him. Brock recalls dealing with the Inoki’s once more. “As the months rolled by, Simon kept calling, but he wouldn’t meet my price. Eventually, over a year later, after I was well into training for my first MMA fight and had more or less put wrestling in my past (although the IWGP belt looked good hanging in my garage), my lawyers got another call from Simon. 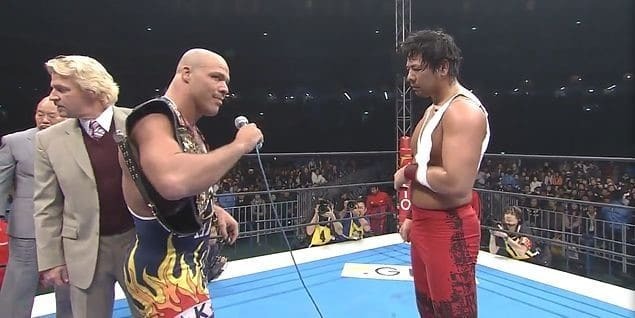 The Inokis had cut ties with New Japan and were starting a new promotion called ‘IGF.’ They needed a main event for their first show and they wanted it to be Brock Lesnar vs. Kurt Angle for the IWGP title. Now they were willing to meet my price. 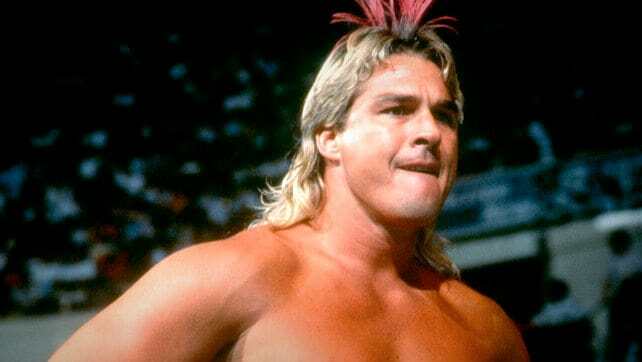 “I enjoyed getting back in the ring with Kurt for one night and had no problem dropping the title to him. And with that, the former New Japan belt was held by TNA, who had developed a working relationship with NJPW, with the upcoming Wrestle Kingdom 2 being a cross-promotional event. At Wrestle Kingdom 2, Angle retained the illegitimate IWGP title in the semi-main event against Yuji Nagata, and Shinsuke Nakamura would wrestle Hiroshi Tanahashi for the New IWGP title in the main event. After Nakamura’s win, Angle came out to challenge Nakamura in a title unification match, with the winner of the match claiming both the belts. The stage was set for Angle vs Nakamura at Ryoguko the following month. Nakamura won in a great match between two masters of their craft and the IWGP belt was finally back where it belonged. Nakamura remembers, “That match was a pretty big deal, I think, in terms of my own career. Because I was the first Japanese person to beat Angle. After winning the match, Nakamura was congratulated backstage by many veterans on the New Japan roster, having finally earned the respect of many of his peers, many years after being the young cocky upstart over-pushed by the management. After finally being free of the Inoki’s influence, Nakamura began to embrace the entertainment side of pro wrestling and shortly after would become the charismatic “King of Strong Style” we know today, taking on a new knee-strike finisher called the Boma Ye, a loose tribute to his former mentor Antonio Inoki. His rivalry with Hiroshi Tanahashi would help spur NJPW back into an up-swing leading to the popularity it enjoys today. 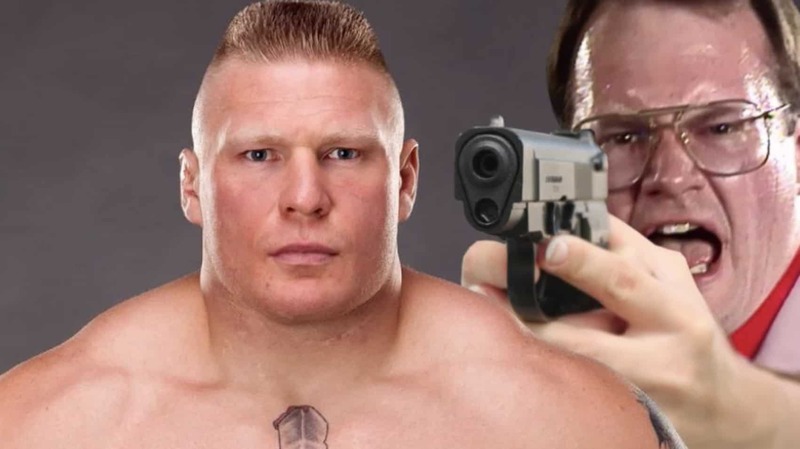 Lesnar would go in the opposite direction, fully embracing MMA and soon becoming UFC champion, before burying the hatchet with Vince McMahon and returning to WWE in 2012. In an unlikely coincidence, Lesnar and Nakamura would both find themselves headlining WrestleMania 34 a decade later, with Nakamura fighting for the WWE Championship after winning the 2018 Royal Rumble, and Lesnar defending his Universal Championship in the main event. Kurt Angle would also make his WrestleMania return at the same pay-per-view. It would have been great to be a fly on the wall for that reunion.